ShangralaFamilyFun.com - Shangrala's Romantic Castles 2! At the center of every fairy tale is a castle. 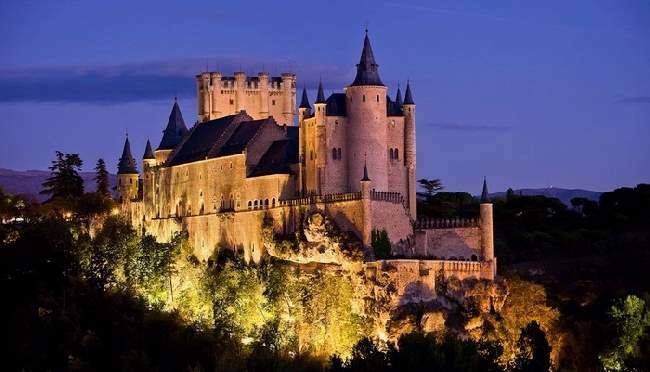 Castles have became lavish and often fanciful expressions of power, wealth, and luxury. This castle was built on an island just off the shore of Normandy and over the years served as a military stronghold, a prison and an abbey. 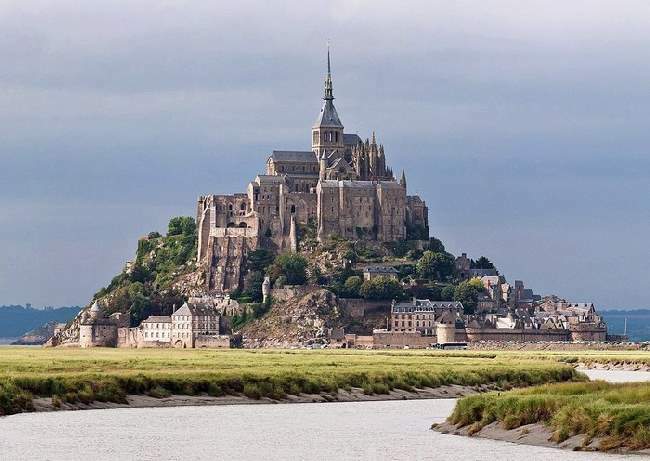 One of France's most recognizable landmarks, Mont Saint-Michel and its bay are part of the UNESCO list of World Heritage Sites. With more than 3 million people visiting each year, it is one of the most popular attractions in France. 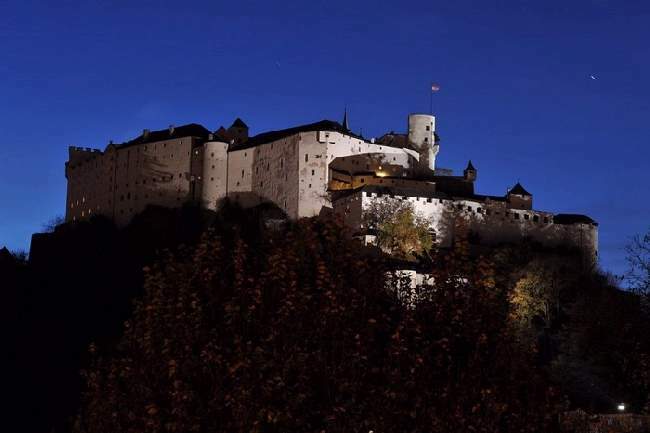 One of the oldest and best preserved castles in Europe, Hohensalzburg was built in the 11th century and expanded in the 14th century. With a length of 250 meters (820 ft) and a width of 150 meters (490 ft), it is also one of the largest medieval castles in Europe. The interior of the castle is just as beautiful as the outside, decorated with ancient furniture and paintings of vines and animals. 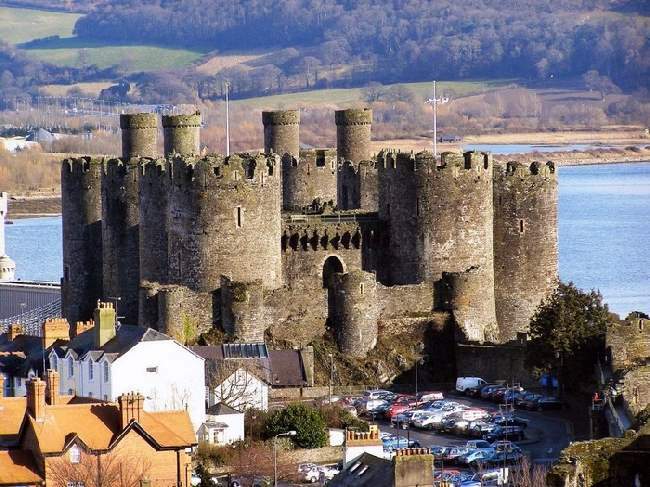 Built by Edward the first during his conquest of Wales in the 13th century, this 8 towers castle is the most expensive building made during the days of this English king. The castle has a rectangular design and is divided into an Inner and Outer Ward, with four 70-foot (21 m) tall towers on each side. Much of the stone from which the castle is made of was taken from the ridge beneath it, so it looks like a natural part of the land. This beautiful Irish castle was built in 1195 to control a fording-point of the River Nore and the junction of several nearby trade routes. Today the castle is a major tourist attraction, thanks to its wonderfully restored walls and surrounding ornamental gardens. This is one of the largest and oldest castles in the world, and it's also one of the most stunning. The construction began in the ninth century and ended with the last major rebuilding in the second half of the 18th century. It is 570 meters (1870 ft) long, around 130 meters (425 ft) wide and represents virtually every architectural style of the last millennium. Today it is used as the official residence and office for the President of the Czech Republic. Bodiam Castle is a 14th century moated castle in East Sussex, built in 1385. It has a rare design with no central keep, its various chambers are built around the outer defensive walls and inner courts. The area surrounding Bodiam Castle was adjusted and flattened when the castle was built, to increase its aesthetic appeal and make it stand out even more. 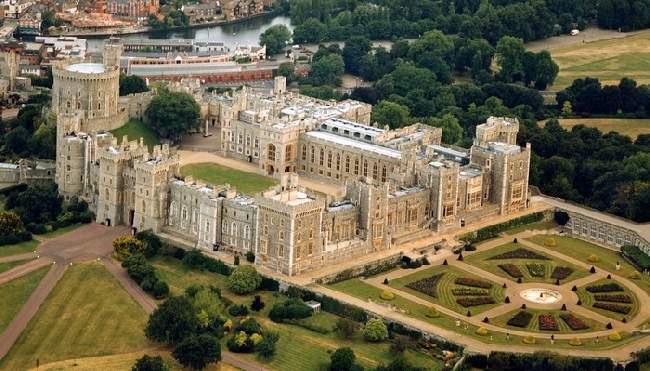 Better known as Windsor Palace, this castle is notable for its long association with the British royal family and for its beautiful architecture. Originally designed to protect Norman dominance around the outskirts of London, it wasn�t until the middle of the 13th century that Henry III built a luxurious royal palace within its grounds. 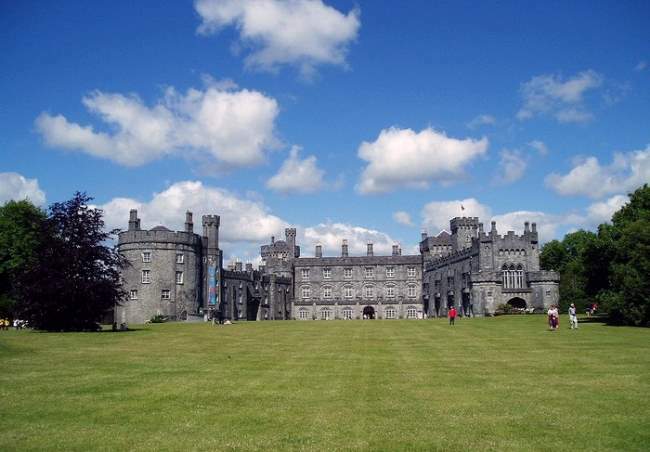 The castle is well known for its picturesque beauty and great sense of historical importance. This castle was built in 1866 by the English architect Milner under commission from the Liedekerke-Beaufort family, which left their previous home during the French Revolution. It has stood empty since 1991 and although the local municipality has offered to take it over, the family has refused. 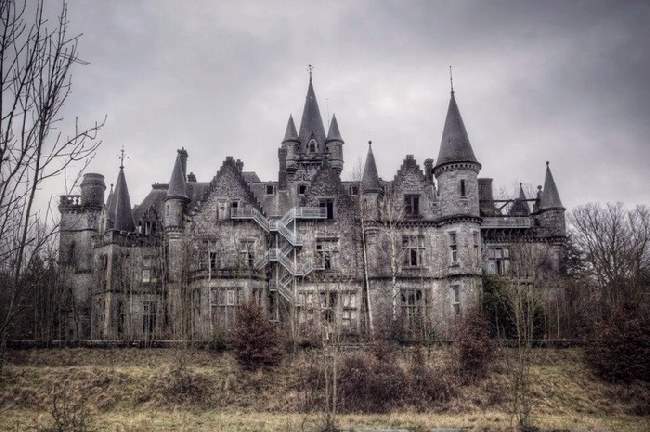 The enormous building is now (as of 2011) in a derelict state, so if you ever wanted to visit an abandoned castle, this is the place to go. Shaped like the bow of a ship, this stone fortification rises out of a rocky crag above the confluence of the rivers Eresma and Clamores. The Alc�zar was originally built as a fortress but since served as a royal palace, a state prison, a Royal Artillery College and most recently, a military academy. Despite the current use for it, the castle is still open to the many visitors who come each year to see this beautiful place. Albrechtsburg castle is one of the most beautiful late Gothic buildings in Germany. 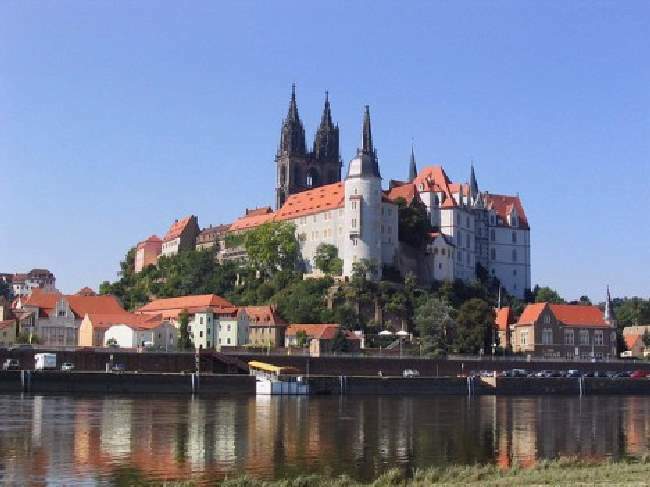 It was built in the 15th century and was the first castle in the history of German engineering. The builder was Arnold von Westfalen. Albrechtsburg Castle is a silent witness to history of famous for so-called 'white gold' because it is also a place of the first porcelain manufactory in Europe, established in 1710. And Sweep Them Off Their Feet!